This has been my go-to palette for nights out, day time, events and what have you. Apart from being sleek-looking and compact, the quad is definitely a no-brainer neutral palette. Especially since it has the names on the lid. KATE Tokyo's brand is very sleek, modern, sophisticated with none of the frilly, girly and "kawaii" we tend to associate when we think "Japanese makeup". This is because they cater to the more "mature" modern woman on-the-go, making the aesthetic of the makeup straight-forward. 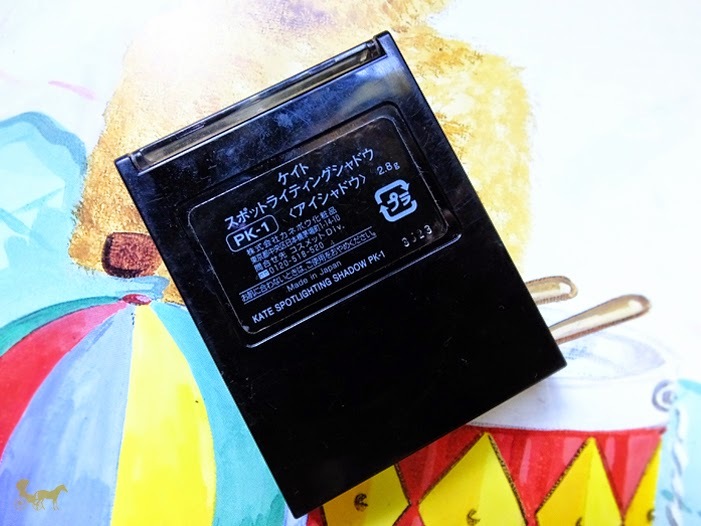 The ingredient list and instructions at the back of the quad and the plastic box it came in was in Japanese which might irk people who want to know more about the ingredients. The sponge applicator is useful! Don't dismiss it like you would your super annoying friend just yet. 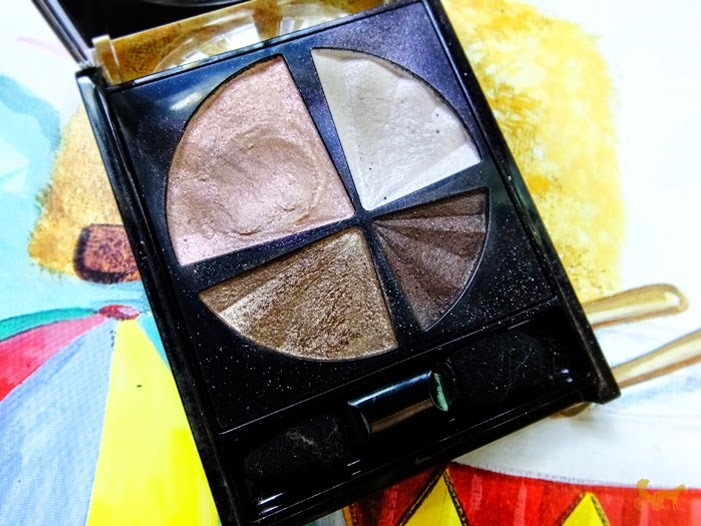 The shadows are soft, easy to blend and pigmented --The last two shades especially. 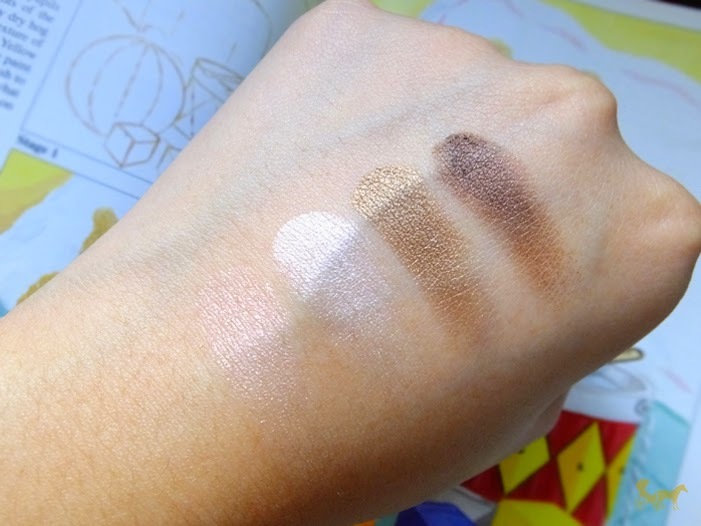 You'd have to use a primer to make the white show up very white but the three shades are pigmented enough on their own as evidenced by the swatch. Yes all shades are shimmery. You can't tell by the picture though. There's glossy light (the iridescent pink), base color (light white-pink), medium color (bronze) and dark color (dark warm brown) all have pink and white shimmers in them. Yay shimmer! The "spotlighting" in the name comes from the glossy light shadow - a pink iridescent shade you put on top of another shadow. Very much like a top coat on nails, it just adds more shimmer/light hence the "spotlighting". Aside from white and pink I think this one has magenta shimmers. It's very soft as evidenced again by the dent on my palette. Because they are soft (this shade especially), they tend to get fall outs if you're not careful and you'll have shimmer where you don't want to. Tapping off the excess on the brush helps, but I advice to use your fingers instead then pat it on. The color shows up more and applies better when using the fingers anyway. If you don't want to use your fingers the sponge applicator included works well with it. 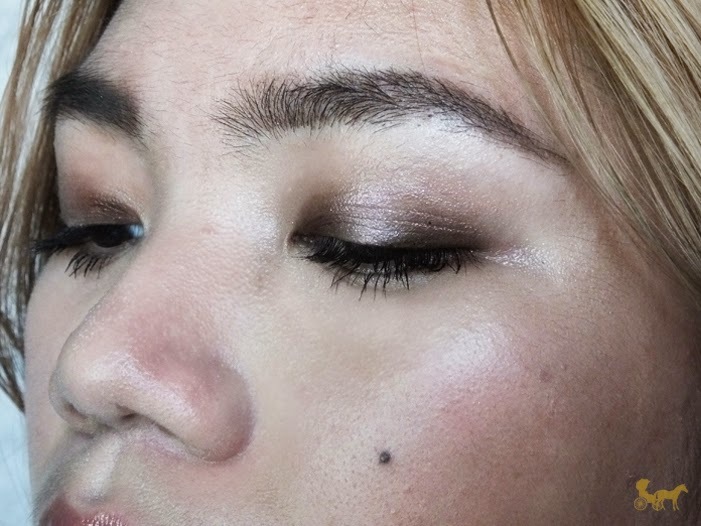 Here's a typical eye look I do using the dark color , base and glossy light shades. I used the dark color with the base color and glossy light in the middle. 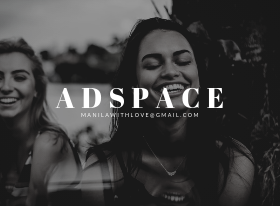 I recommend this for minimalists, working women and of course beginners. I didn't think this would be a staple in my makeup arsenal since the all shimmer palette threw me for bit. The shimmers of the darker shades aren't obvious in pictures but they're really pretty IRL. What's your go-to, no-brainer compact palette? And maybe an eye look? Let me know below! 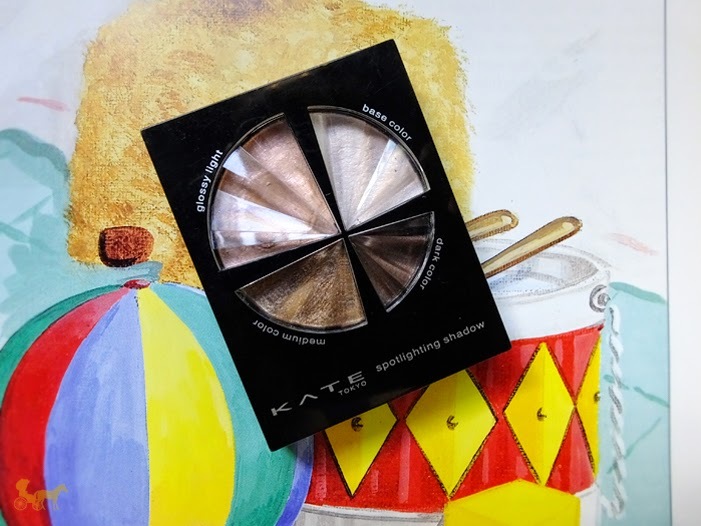 Disclaimer : I got this palette from the Kate Tokyo Bloggers event last year (Yeah I know! Super belated review). 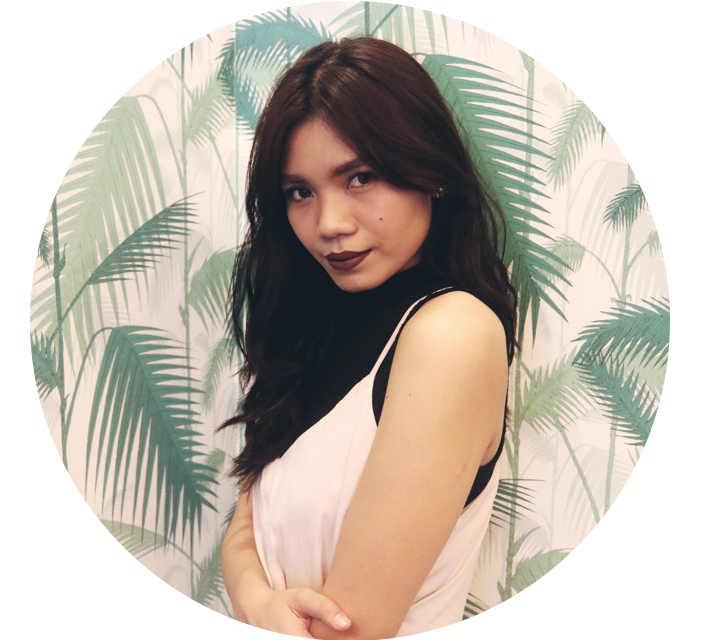 Thanks Kate Tokyo loves!